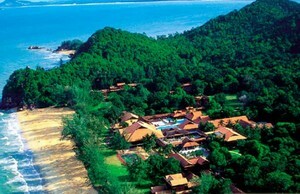 The first Club Med in Asia is located in Cherating, Kuantan, in the state of Pahang. Located 47km from the state capital of Kuantan, Cherating is a beautiful beach with crystal-clear waters and a great view of the South China Sea. Club Med, which occupies a portion of the beach, promises a fun-filled holiday of water sports, sunbathing, and lots of cultural and handicraft attractions. Not only that, the village folks at Cherating are also friendly and warm. 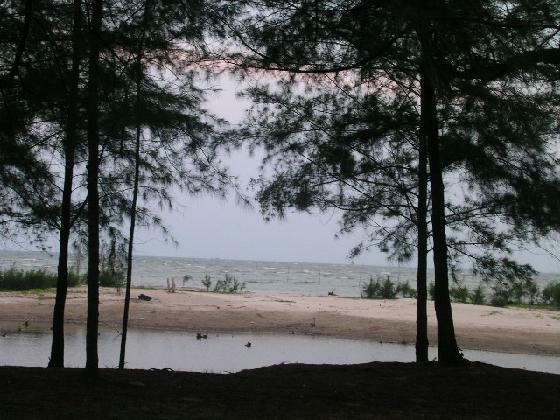 Contrary to its name, Taman Gelora (Gelora literally mean rough in context of sea) is tranquil and great place to relax. 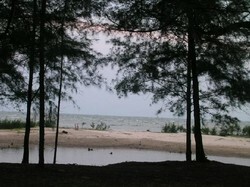 It is a park with jogging track built by the seaside. Many placid lakes and ponds in the park add natural charms to this place. Abundant pines trees here provide much protection from the harsh sunlight to joggers. It is also a popular place for outdoor wedding photography due to its scenic and peaceful surroundings. 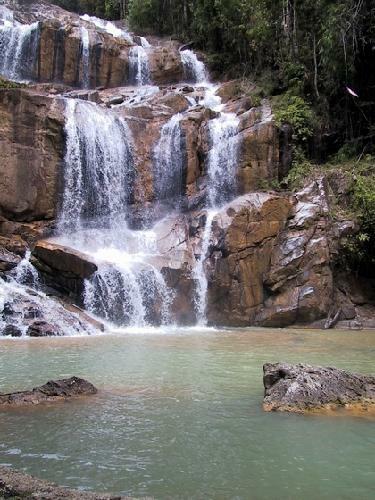 About 40 km from Kuantan is the beautiful nature reserve of Gunung Tapis which offers a wide range of activities that include mountain climbing, tracking, canoeing, fishing and camping. The park also abounds with hot springs and wildlife. Prior arrangements for a trip should be made through your travel agent or the MalaysianTourist Information Centre. The Charah Caves are roughly 25 km north-west of Kuantan at Panching, on the Sungai Lembing road. Formed millions of years ago, these limestone caves are the site of a Buddhist sanctuary which serves as a retreat for Buddhist monks. One of the caves houses an enormous stone sculpture of a reclining Buddha which is illuminated just once a day by a shaft of light from an aperture in the cave's roof. This is said to be the work of a Thai monk who made his home in the caves many years ago. Easily accessible by road, the Sungai Pandan Waterfalls are 25 km from Kuantan and consist of a series of cascading rapids which culminate in a large cooling pool, ideal for swimming. A popular picnic spot. Just 35 km from Kuantan, on Chendor Beach, visitors can watch green turtles, and occasionally giant leatherback turtles, struggle ashore to lay their eggs in the sand. The giant leatherback normally arrives on the shore of Rantau Abang, 160 km north of Kuantan. These fascinating creatures return to the same beach on which they were born, between early July and September, and it is a spectacle well worth witnessing. Credits: Photos and articles are taken from various site.